SEGA classic, Nights into Dreams, inspired the content! 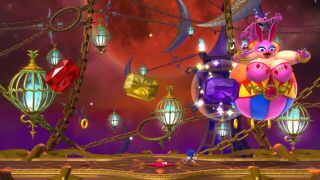 Revealed just last week from SEGA, Sonic Lost World will receive its own special edition, featuring a new level when you pre-order the game on Wii U. 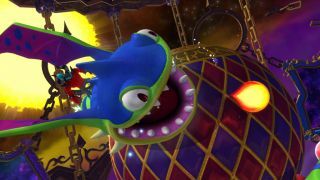 A new group of enemies featured in the game, the Deadly Six, are (supposedly) on equal footing with Sonic the Hedgehog as a powerful unit of terror, too dangerous for even Dr. Eggman to control. 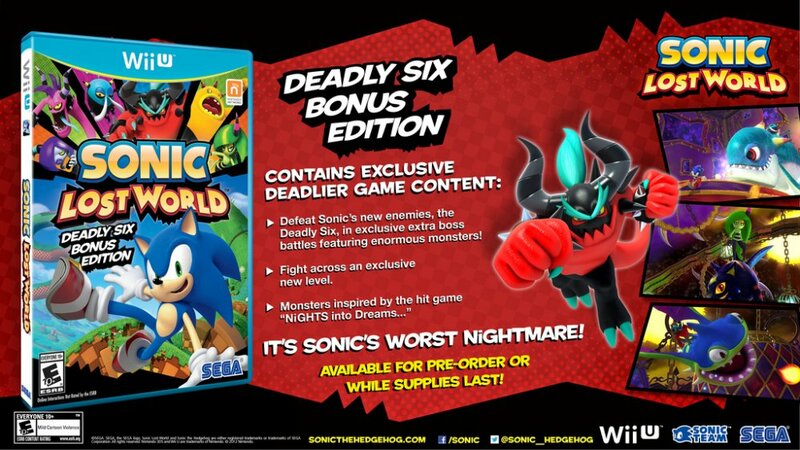 Thus, we are presented with the “Deadly Six Bonus Edition”, which will include a code to redeem the “Deadly Six” DLC level, available to be played at any point during the story. 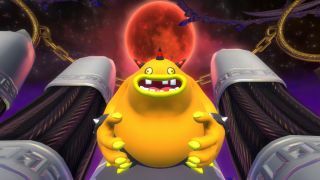 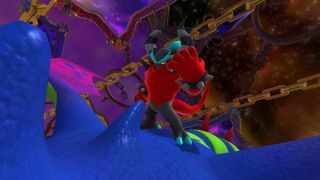 The level will feature extra boss battles against enormous enemies and will award players a special “Color Power” upon completion (this power can also be obtained through the Miiverse). 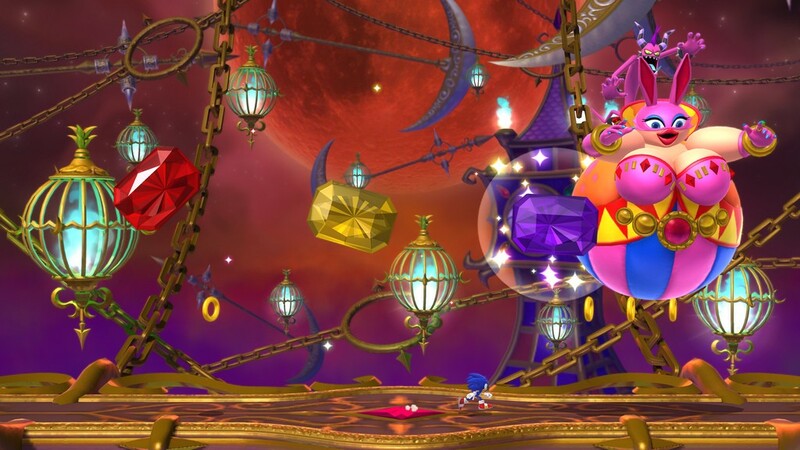 NiGHTs Into Dream has also inspired the stage, adding even more SEGA flair to the title. Unfortunately, this DLC doesn’t seem to be coming to the 3DS version. 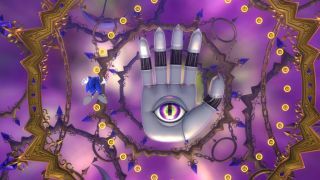 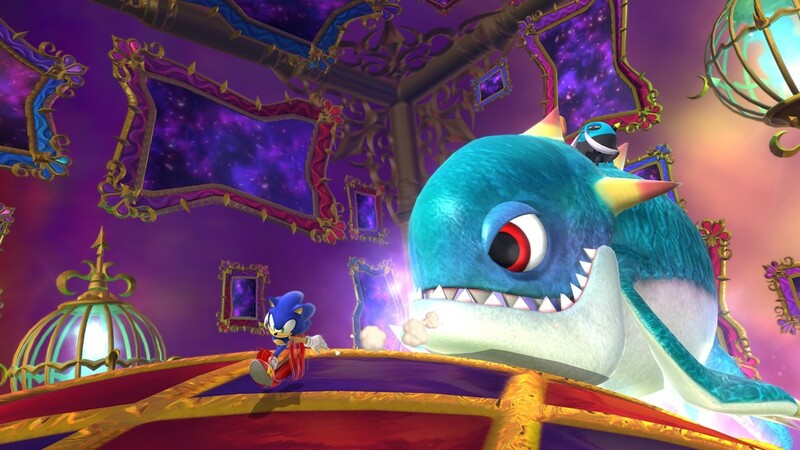 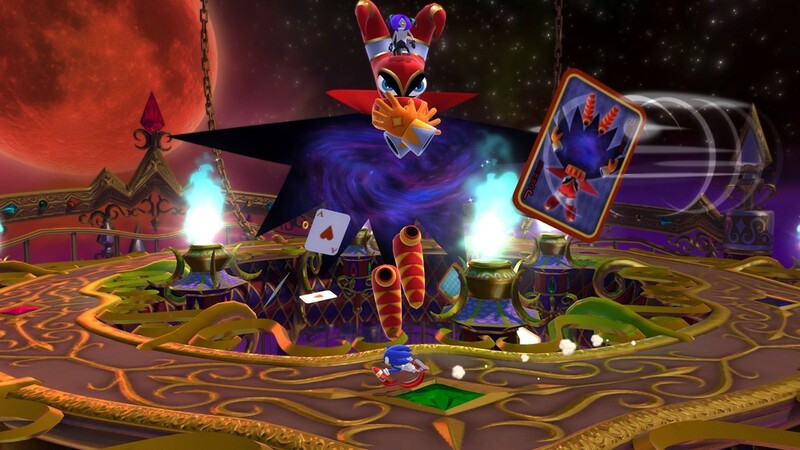 "Sonic has been sucked into a world of nightmares created by Wizeman, and must defeat the Deadly Six, who are riding on gigantic Nightmaren monsters inspired from the game NiGHTS into Dreams." Sonic Lost World will arrive on October 18th for the Wii U, featuring a 2-player local co-op mode where player-one controls Sonic and the other supports him with the Wiimote. 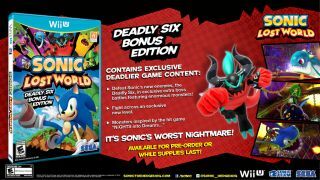 The edition will only be available “while supplies last”, so don’t wait too long to pre-order this one. 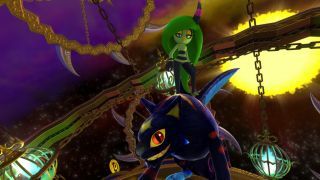 Remember to check out the sweet gallery of DLC screenshots below! Page created in 1.1348 seconds.